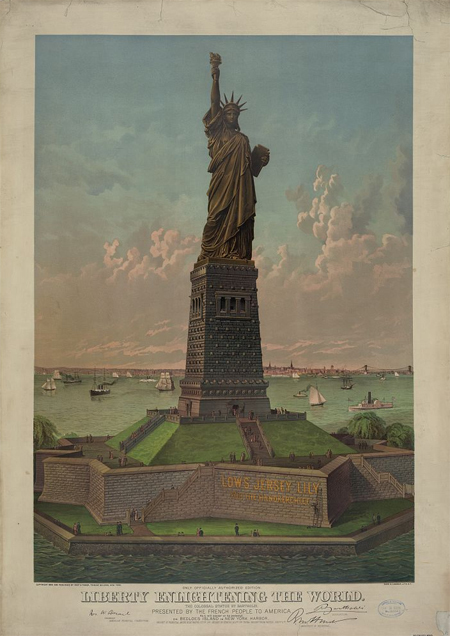 Today in History–June 19–the Library of Congress features the Statue of Liberty, which arrived in in New York Harbor on this day in 1885. The 151-foot-tall statue was a gift from France to commemorate the centennial of the American Declaration of Independence. Find out more by visiting the Today in History section, then click the links below to access more primary sources related to this symbol of freedom and democracy. You might also be interested in checking out these statue-related PSN posts.